Controlling the flow of electrical energy by switching electronic circuits is what power electronics is all about. It is the technology that is behind the concept of power converters, power inverters, motor drives, switching power supplies etc. The first high power electronic device was Mercury-Arc valves. This was a type of electrical rectifier that was used for converting high Alternating current into Direct Current. Today power electronic uses components like diodes, GTO’s and transistors etc. In power electronics a substantial amount of electronic energy is processed. The most common type is an AC/DC converter that is used in most of our daily electronic devices like Computers, Battery Chargers, and Television Set etc. Power electronics is one of the core subjects for an electrical engineer. This is a brief description about the various sub topics that come under power electronics. Electricity flows in two ways – Alternating Current or Direct Current . The difference between the two is the way the electron flows. Owing to Thomas Edison - DC power was born by creating a magnetic field near a wire, which caused the electrons to flow in a single direction, from negative to positive. Nikola Tesla came up with AC power because a it was a safer way to transmit power over large city distances. Instead of using a steady magnet, he used a rotating magnet. So as the magnets position changed so did the flow of electrons. The electrons keep on switching their path. AC current can travel over longer distances. The electrons flow in one direction. DC current cannot travel far otherwise it would lose energy. Frequency of an AC current is usually 50Hz or 60Hz. i.e. current is varying over time. Frequency of DC current is zero. i.e. Current is constant over a period of time. Used popularly for many applications like fans, air conditioners. Regular supply to homes is AC. Used mostly where mobility of electric power is essential. e.g. cell phones, batteries in vehicles etc. This is an electronic device that converts alternating current to direct current. 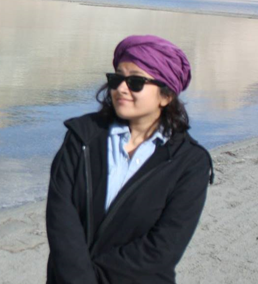 This entire process is called as rectification. Rectifiers can take many forms like mercury arc valves, semi-conductor diodes, various silicon based semi-conductor switches etc. Diodes: It is a semiconductor device with two terminals that allows flow of current in one direction. It has low resistance to current in one direction and a very high resistance on the other. It is a vacuum tube that has two electrodes – a plate (anode) and a heated cathode. 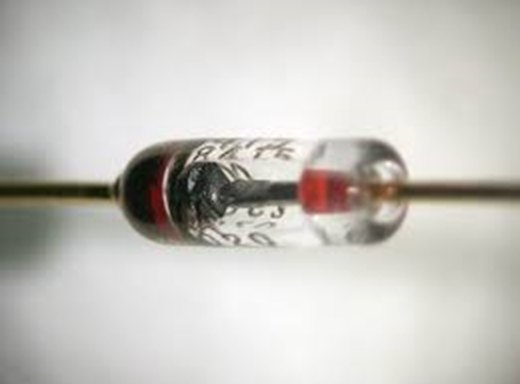 A semiconductor diode was the first semiconductor electronic devices. 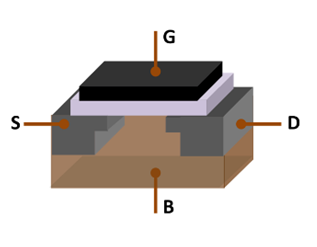 Most diodes are made of silicon, while selenium or germanium is also used sometimes. Because a diode allows electric current to pass one way but not the other, it is used as a rectifier to convert AC to DC current. Diodes are also used as signal limiters, voltage regulators, switches, signal modulators, signal mixers etc. 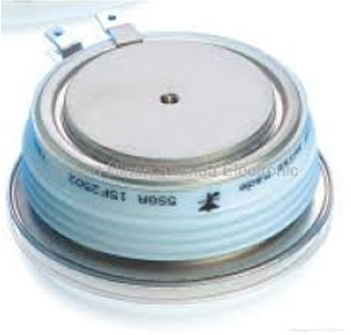 GTO: Gate Turn-Off Thyristor, is a high powered semi-conductor device. It differs from a normal Thyristor. Unlike them a GTO has a fully controllable switch that can be tuned off and on by a third lead i.e. the Gate lead. A normal thyristor does not have a fully controllable switch i.e., which can be turned on and off at will. Once it has been turned on or fired, it remains turned on till a turn off state occurs. Which could be anything like a reverse voltage or if the current flowing falls below a certain threshold value. A GTO can be turned on by a gate signal and can be turned off by one which has negative polarity. Transistors: This is semi-conductor device that is used for amplifying and switching electronic signals and power. A transistor has 3 terminals. When voltage or current is applied to one pair of terminal it changes through the other pair. The output power could be higher than the input, a transistor can amplify signals. Most of the transistors are found in integrated circuits. The three leads that the transistor has are – Base, collector and Emitter. One of the most used transistors is MOSFET. MOSFET: It stand for Metal Oxide Semiconductor Field Effect Transistor. This is a type of transistors that is used for amplifying or switching electronic signals. 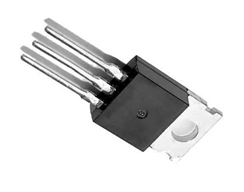 Though a MOSFET is a 4 terminal device – Source, Gate, Drain and Body. But as the Body Terminal and the Source Terminal are often connected to each other internally, therefore only three terminals appear in electrical diagrams. MOSFET is one of the most common transistors in both digital and analog circuits.